GippSport is actively encouraging people to make water their drink of choice and encouraging sporting clubs to promote water over other beverages, especially sports drinks. If your team, club or Association would like to be involved please contact us. We hope to produce a range of fact sheets and other resources that will be available soon. 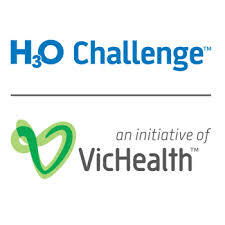 Our key partner in this promotion is VicHealth and we are also teaming up with the Water Boards across Gippsland. In October, we are running the #ChooseTap campaign with Gippsland Water and the following Community Ambassadors. Why don’t you #ChooseTap, give up the sugary drinks and drink more water! H30 Challenge – Sign up to switch sugary drinks for 30 days. Also great tips, tools & resources on drinking more water. Rethink your sugary drinks – For info on how much sugar is in each drink check out the drink calculator, fact sheets (such as the one on sports drinks) and videos. The Better Health Channel on Water.